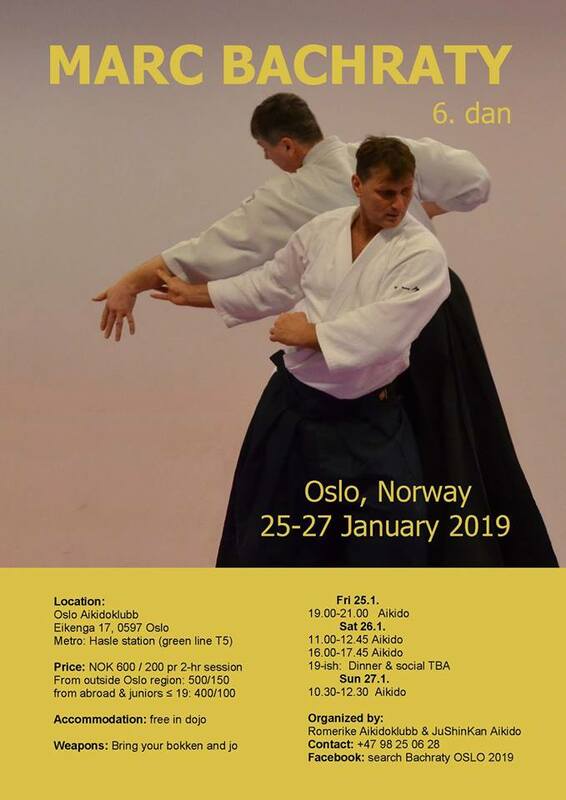 Romerike Aikido Club and Jushinkan Aikido Club’s seminar with Marc Bachraty will this year be held in Oslo Aikido Dojo’s premises. An excellent opportunity for our members to train with one of the top students of Christian Tissier and get a taste of first class French aikido. seminar will be held at Oslo Aikidoklubb on 25-27. January, 2019! your own meals, and shops by the metro station.